Determine rental needs i.e. china, tables, chairs, tents, etc. 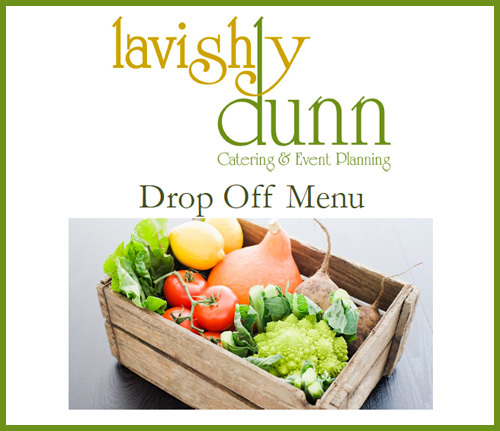 Decide if there is a need for any outside services i.e. valet, flowers, entertainment, etc. 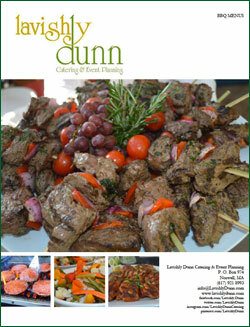 Think of Lavishly Dunn as your personal caterer/event planner. 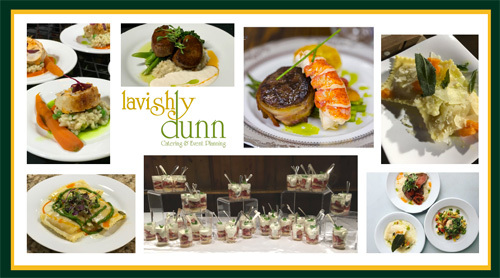 Whether you are planning an intimate gathering or gala, Lavishly Dunn will service all your party needs.